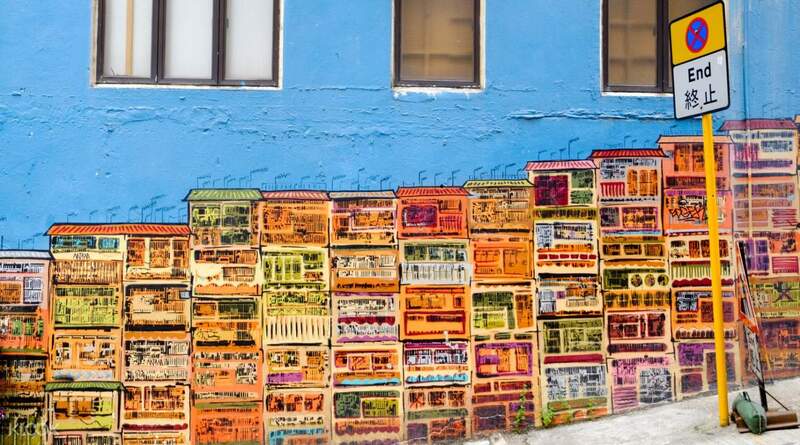 Wander through Hong Kong's landmarks like the Man Mo Temple, Upper Lascar Row, and more! Very accomodating staff. ENJOYABLE!!! wonderful experience in travelling the city! Ease into your Hong Kong adventure upon your arrival in Central. Save some valuable time exploring the city with a well-curated itinerary for a hassle-free exploration around the cosmopolitan. Get to visit cultural sites, grand architectural establishments, and street food stalls in every corner. Dive first to the towering skycrapers of the IFC building and Hang Seng Bank Headquarter before taking the Mid-level escalator. Take a stroll along SoHo district, the famous destination for all your entertainment motives. Sip on a refreshment along the way at Kung Lee, a small shop specializing in the sweetest sugarcane juice. 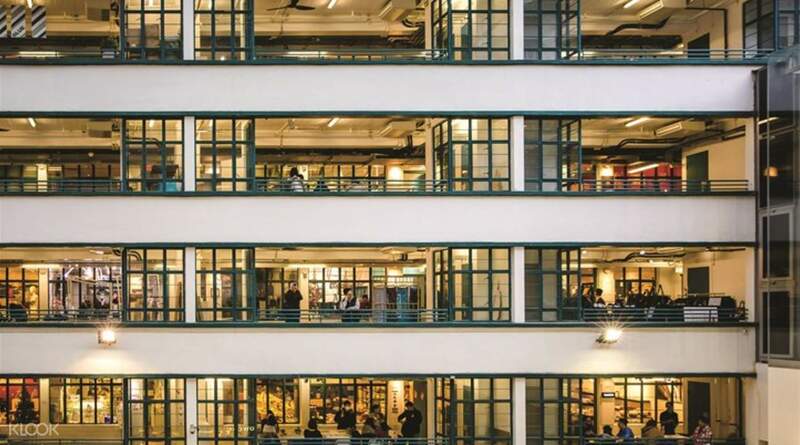 Witness cultural yet hip institutions at the PMQ, which gives off a cool market vibe with a revolving art and design space. 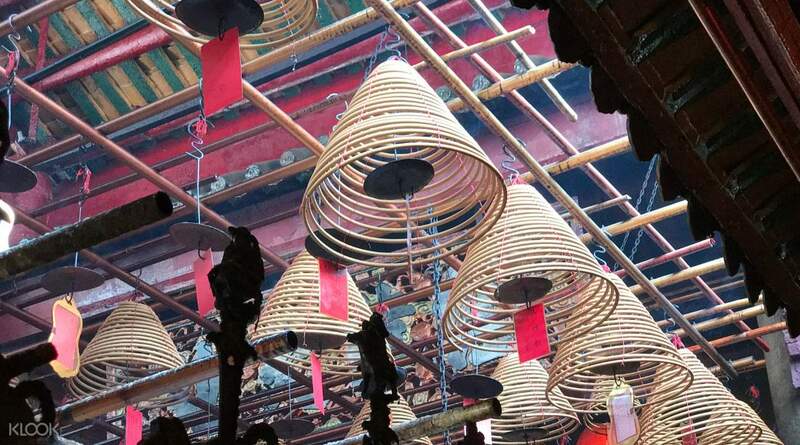 Visit the Man Mo Temple before moving on to the Upper Lascar Row, an antique site for those who have a penchant for nostalgia. 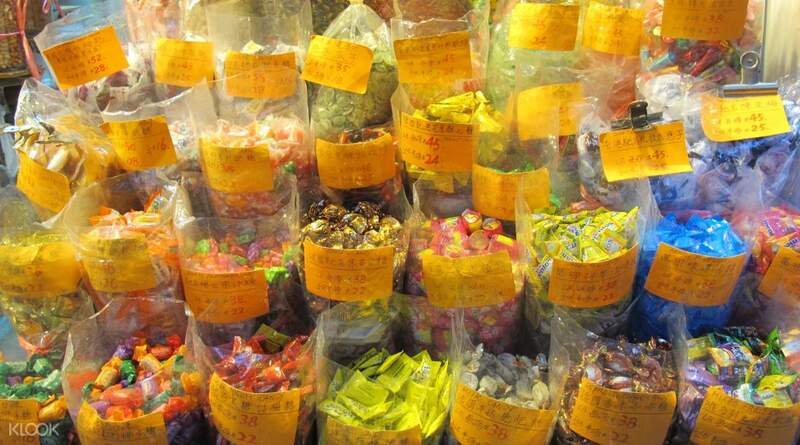 As you near the end, take a brief stop at the Dried Seafood Market for some of the best delicacies. The tour ends at Western Market, an Edwardian-style complex building comprised of souvenir shops, restaurants, and chic cafés. This walking tour is awesome! My friend and I had a great afternoon with our tour guide, Matthew. He was very energetic and told us a lot of fun facts about Hong Kong along the way. We had lots of fun together, he taught us how to pronounce some Cantonese phrases and he shared with us some insider tips about Central and Sheung Wan district. 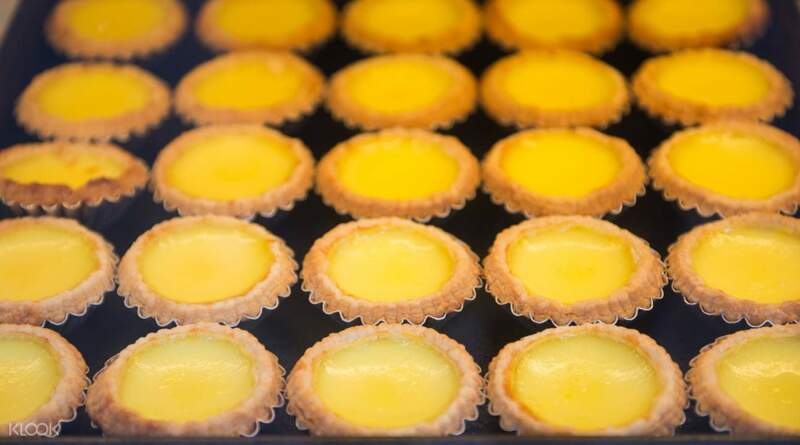 The best thing with this tour was that we had a chance to try some local street food – freshly baked egg tart and iced milk tea. We highly recommend this tour, this is definitely a must-do thing in Hong Kong if you are just staying here for just 2-3 days. This walking tour is awesome! My friend and I had a great afternoon with our tour guide, Matthew. He was very energetic and told us a lot of fun facts about Hong Kong along the way. We had lots of fun together, he taught us how to pronounce some Cantonese phrases and he shared with us some insider tips about Central and Sheung Wan district. 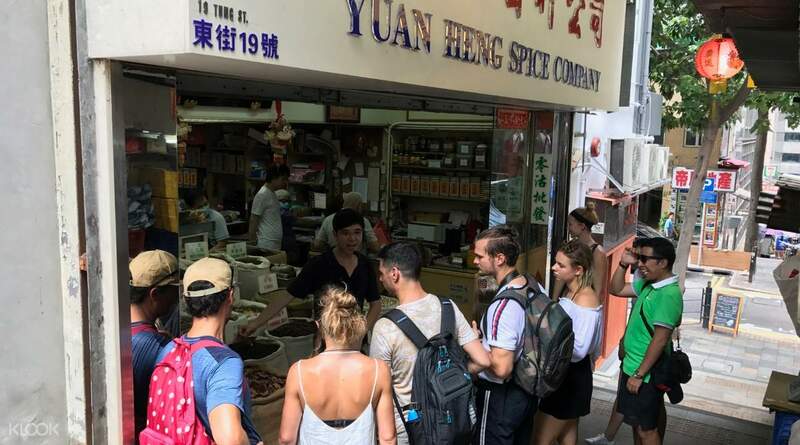 The best thing with this tour was that we had a chance to try some local street food – freshly baked egg tart and iced milk tea. We highly recommend this tour, this is definitely a must-do thing in Hong Kong if you are just staying here for just 2-3 days. very informative tour. the tour guide, Maria, is very knowledgeable and answers well for every questions we asked. the milk tea and egg tart is very good too. very informative tour. the tour guide, Maria, is very knowledgeable and answers well for every questions we asked. the milk tea and egg tart is very good too. I've visited Hong Kong many times with my family and friends but the walking tour has brought me to places I've never visited before. Monica, our guide, is very personable, helpful and informative. My children and I really enjoyed the 2.5 hours walking tour. Loved the milk tea and egg tart. We bought many goodies along the way. We'll be visiting some of the spots again on our own today. This tour is highly recommended! Just ensure you wear comfortable walking shoes. I've visited Hong Kong many times with my family and friends but the walking tour has brought me to places I've never visited before. Monica, our guide, is very personable, helpful and informative. My children and I really enjoyed the 2.5 hours walking tour. Loved the milk tea and egg tart. We bought many goodies along the way. We'll be visiting some of the spots again on our own today. This tour is highly recommended! Just ensure you wear comfortable walking shoes. Very accomodating staff. ENJOYABLE!!! wonderful experience in travelling the city! Very accomodating staff. ENJOYABLE!!! wonderful experience in travelling the city! A good walking tour for alone tourist. I, and 2 other people became a group of 3, walked for 3 hours, through many roads, building & place in Central, Hong Kong. I appreciate the enthusiasm of tour guide, as she shared with us too much information about Hong Kong. A good walking tour for alone tourist. I, and 2 other people became a group of 3, walked for 3 hours, through many roads, building & place in Central, Hong Kong. I appreciate the enthusiasm of tour guide, as she shared with us too much information about Hong Kong.